Greg Wilson is the real deal. He has a pedigree stretching back to the original disco era, coming to national prominence in the early 1980s as the first to champion New York’s emerging Electro-Funk sound and the first DJ to mix records on national TV (in 1983!). He was the first dance music DJ to become resident at Manchester’s legendary Hacienda, then very much an indie and ‘alternative’ music venue. 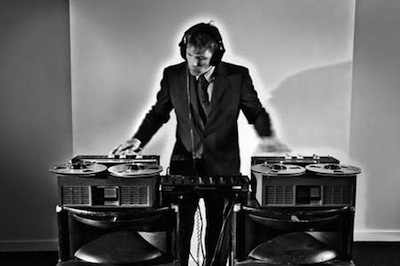 Fast forward to today and Greg is very much in full force, touring the world armed with laptop, turntables and, of course, his trusty Revox B77 reel-to-reel. No doubt he’ll be have his customized re-edits in tow as he joins Justin & Eamon for what is sure to be another corking Mister Saturday Night at our home on Myrtle and Broadway.